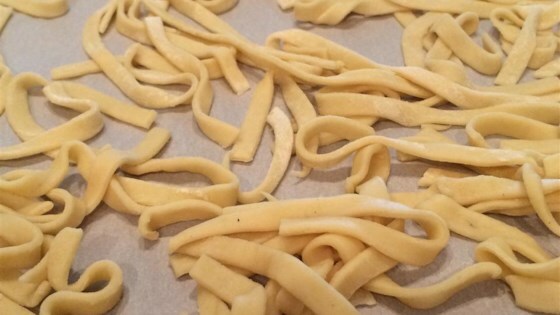 Freshly made egg noodles jazz up all your favorite pasta dishes. I really disliked these. They tasted too much like flour to me, and in my opinion needed to be A LOT thinner. I used my Kitchenaid and dough hook, which was a lot easier. Rolled them out and used a pizza cutter to cut them. They were excellent!